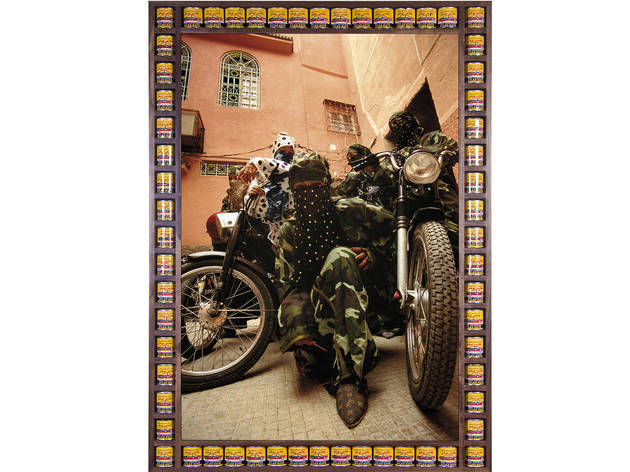 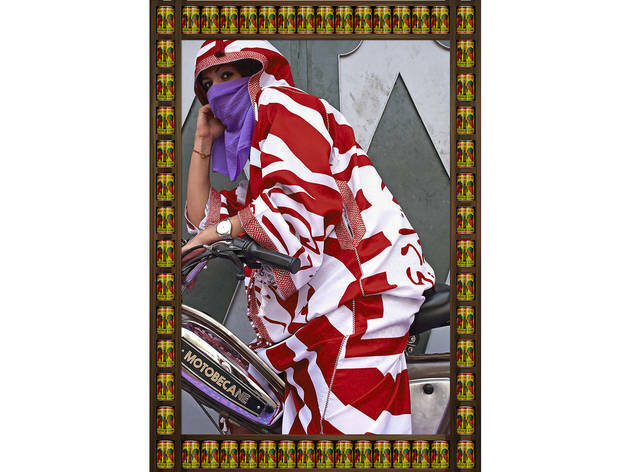 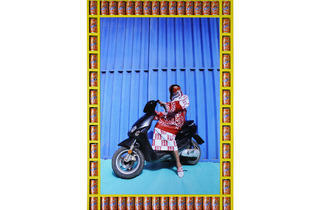 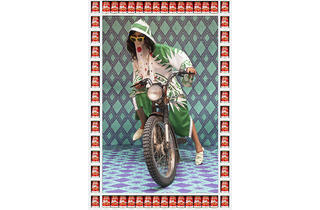 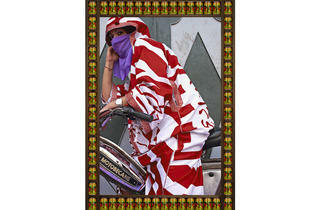 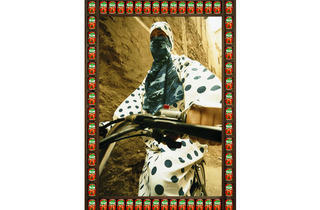 Western consumerism and ancient tradition collide head-on in the work of Hassan Hajjaj, a Moroccan artist living in London. 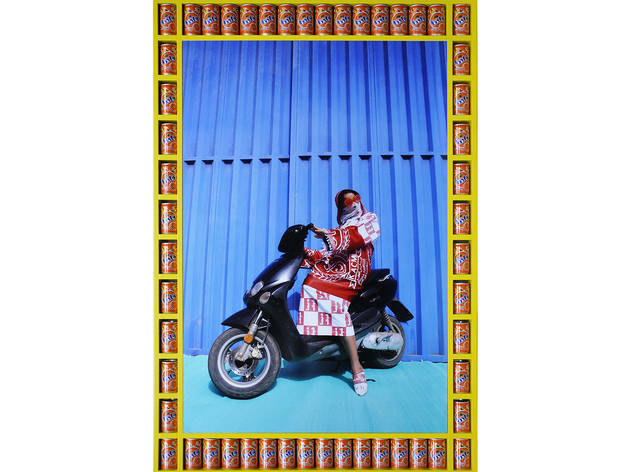 Hajjaj’s photos, videos, objects and installations impart a vivid Pop Art gloss to scenes of contemporary North African street life. Their multicultural pizzazz and emphasis on style are undoubtedly informed by the artist’s biography: Born in a fishing village, Hajjaj was 12 years old when he left for the U.K., where he became a DJ, music promoter, designer, retailer and restaurateur before finally turning to art. 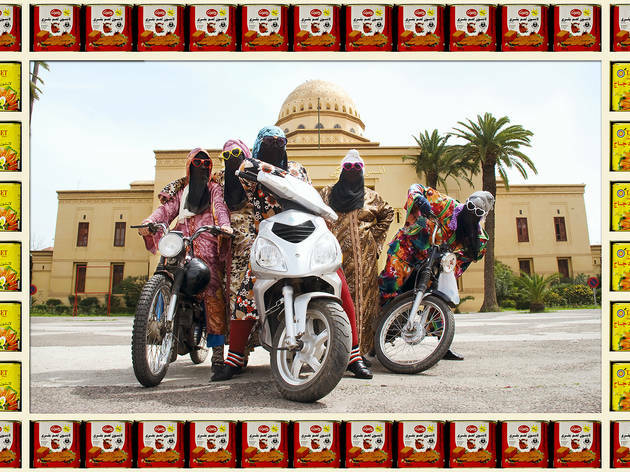 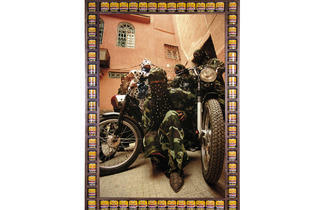 Hajjaj’s New York debut centers on his color photo series “Kesh Angels,” which captures young women in Marrakech on scooters and motorbikes. 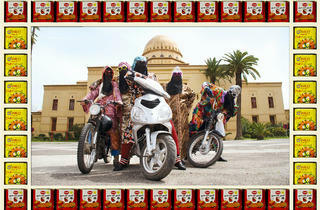 Wearing custom-made head scarves, veils and robes emblazoned with national flags, fashion brands and sports logos, these local dancers, henna artists and waitresses provocatively pose atop their rides beside historical sights, or inside a makeshift studio set up among the stalls of the medina, the city’s marketplace. 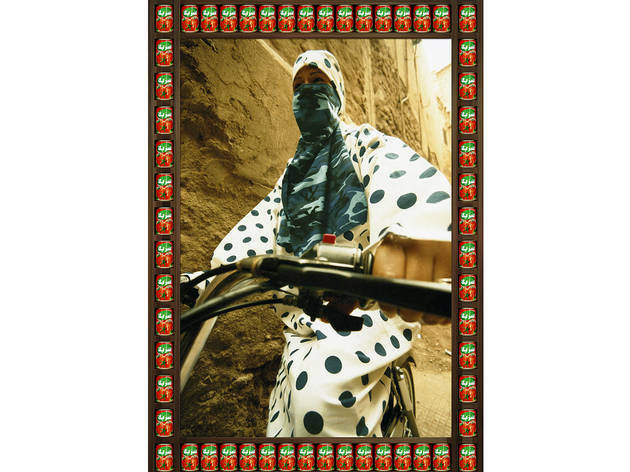 Hajjaj has mounted the images in wooden frames inlaid with cans of soda, meat and tomato paste, adding another layer of Pop expression, while also referencing Islamic mosaics.